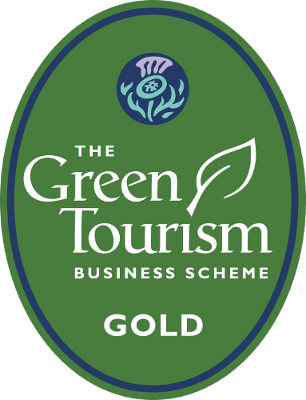 The Peedie House is an old stone byre which has been modernised and converted into 4 star self-catering and GOLD GTBS accommodation for couples. 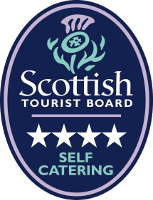 Visit Scotland 4 star self-catering award. Full disabled access provision (see Access Statement below). Solar powered water heating, full roof and wall insulation, and under-floor heating. 100% guaranteed renewable energy used for its electric supply, either self-generated (click renewables for further information) or supplied by Good Energy. Electric car charger available for compimentary use should you so wish. Large conservatory, double bedroom, bathroom with shower and 1st class kitchen facilities. 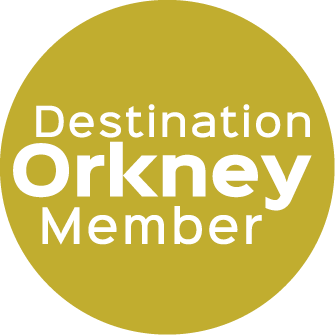 Excellent knowledge of Orkney's wildlife and 5,000 year old neolithic sites. Day or half-day tours with Orcadian Wildlife at preferential rates, our schedule permitting. Organic beef for sale produced on the farm from our small herd of native Shetland cattle (why not take a pack back home for your freezer) - click here to download a beef order pro-forma. (Very!) free-range eggs produced on the farm by our chickens. Open From April - October.